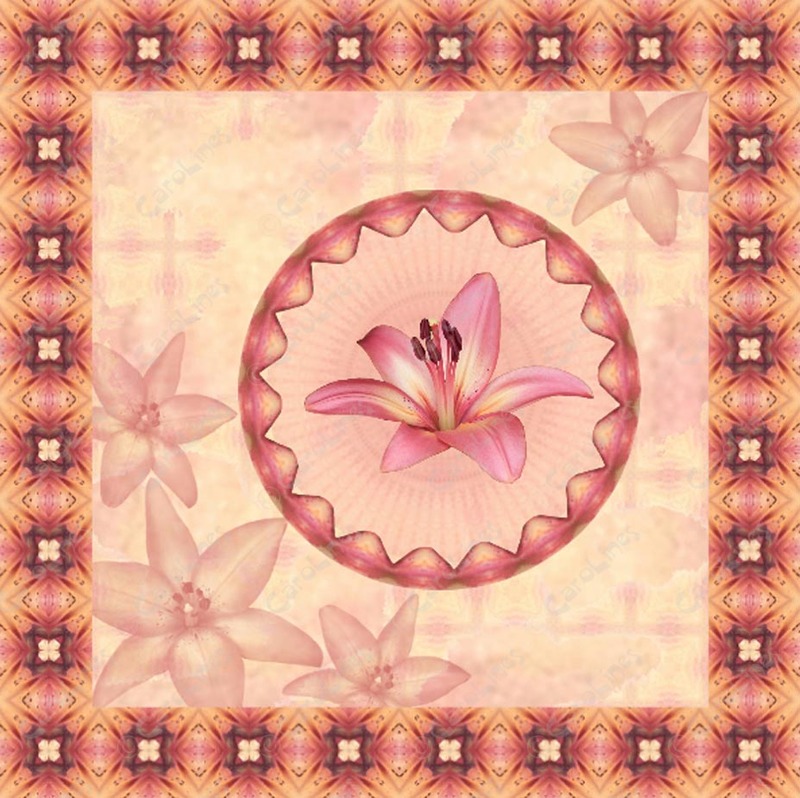 Sample card 10 made using the new Royal Sunset Lily Digital Kit. 1. Import frame 4 into your graphics programme and re-size to about 8 ins..
2. Import paper 6, re-size and place inside the frame. Group and send to the side bar. frame and use the punch tool to isolate the circle. 5. Import the lily, re-size, rotate and place inside the frame.